VirSyn has updated its delay plug-in FDELAY - The Rhythmiser to version 1.01. This update adds automation of the Tempo parameter and fixes the tempo synchronization bug. 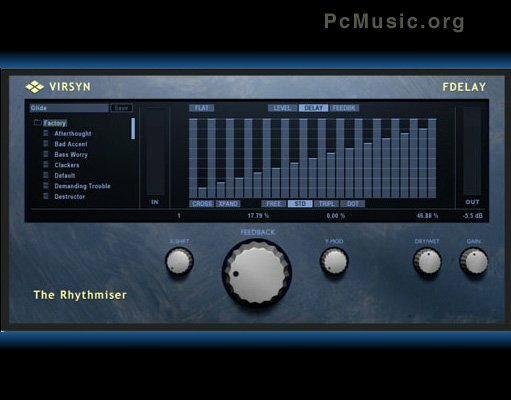 FDELAY - The Rhythmiser is available for both Mac and PC in VST, RTAS and AU formats at a price of €169. This update is free for all registered users.